Description: A golf bag that can hold many different sports equipment at once and it barely takes a toll on your spine unlike backpacks. Why is it so light anyway? The sounds of wings fluttering inside wouldn't be the reason. Right?! 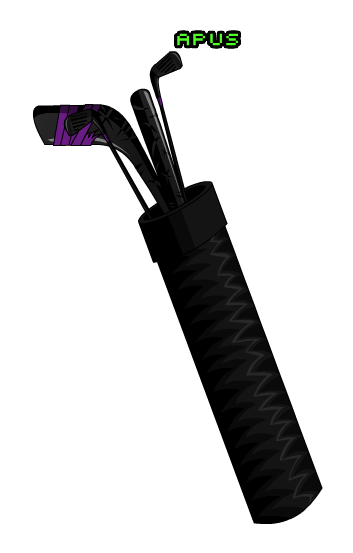 Wrapping on hockey stick is Color Custom to Base Color. Also see Vigilante Golf Bag (Legend). Thanks to eddmario and Maicompdr.